About 8-10 good sized leaves of basil. 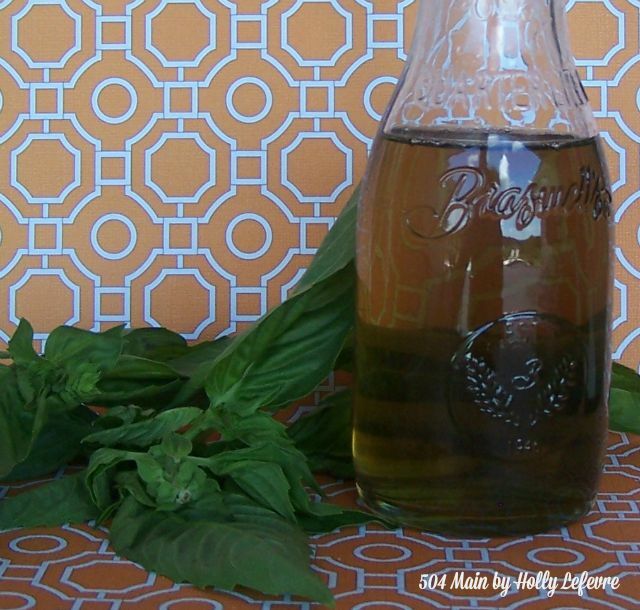 I bought a package of organic basil at the grocery store, and for boiling, added the leaves still on the larger stem. 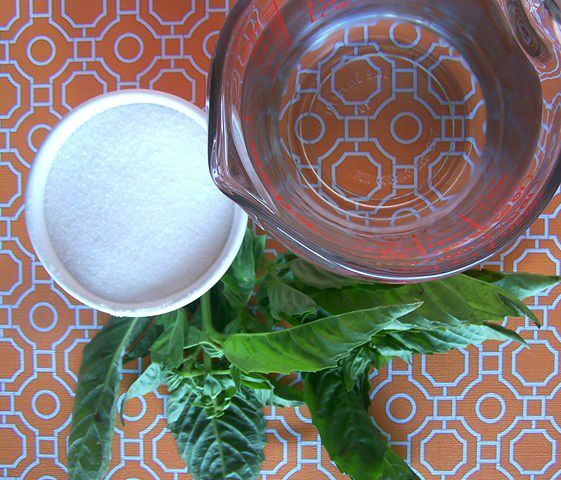 Place the water, sugar, vanilla, and basil in a medium sauce pan and slowly bring the mixture to a boil until the sugar is dissolved. All in all, I simmered my syrup for about 40+ minutes on low. I really wanted to get that amazing basil flavor. 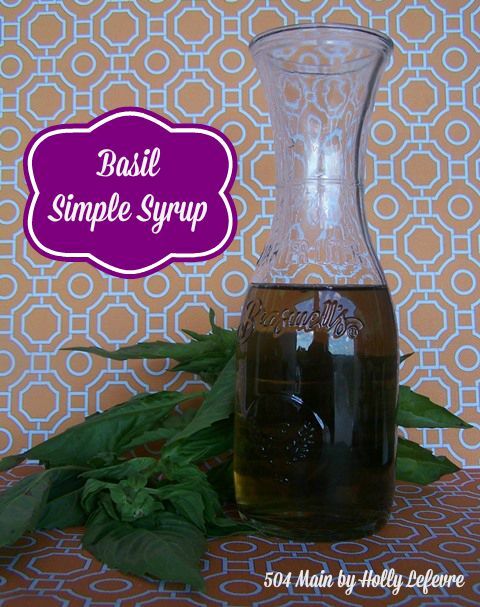 If you are unsure of the taste, sample a bit as you cook, until the syrup is to your liking. Let cool. Strainer the mixture to remove any pieces of basil that might be in there. You want the syrup to be "smooth." Transfer the mixture and the bean to am airtight container (I use a mason jar for storage). Store in the refrigerator. I cannot quite give you a time frame for how long it will keep because we use it up quickly...a month or two is my guess! 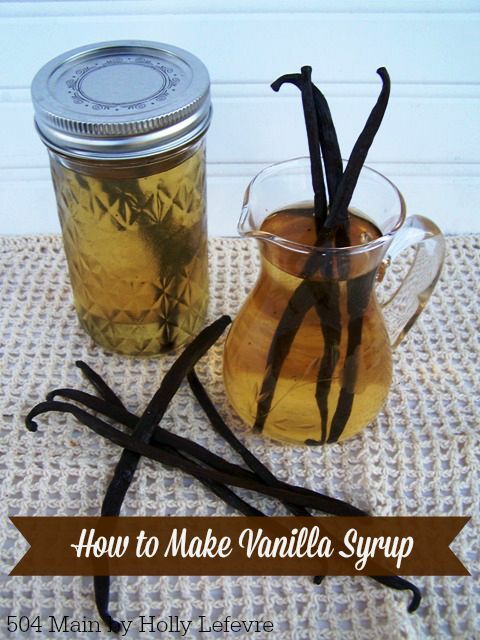 Have you made your own syrups? Whats you favorite flavor? Sounds AMAZING!!! I'm gonna have to try it!! !